When you’re choosing footwear for your kids, they need something that both looks good and feels good. 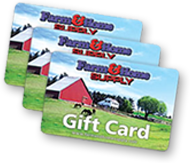 Come out firing with both barrels on your next shopping trip by getting DBL Barrel boots from Farm and Home Supply. These kid’s western fashion boots are both the past and the future rolled into one. Aspiring cowboys can start out with a boot that has a traditional cowboy design for getting in touch with their country side. 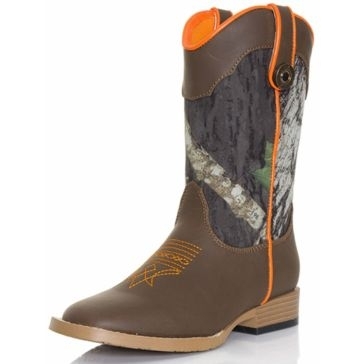 But the shaft of each boot has cool prints such as mossy oak camo, lightning bolts and Wyatt neon green that lets them be a kid. We have DBL Barrel kid’s casual cowboy boots in sizes 1 to 13 so everyone from toddlers to preteens can show off a little bit. Made from either leather or nylon, these boots are incredibly comfortable and practical as well. They have a moisture-wicking lining to keep their feet dry, a supportive steel shaft, a zipper closure, slip-resistant outsoles and other features to keep your buckaroo stompin’. Make western wear a staple at any age with this fashionable footwear that you can find online or in-store seven days a week.